Last edited by John Van Vliet on 18.10.2013, 10:56, edited 1 time in total. Stunning Earth worlds Plutonian and John! Does it matter lodgy?... really? Oh yeah, a planet in a completely different solar system is going to develop features in exactly the same fashion as our planet ... and of course there's no way another planet could possibly have geophysical features larger than those on Earth, is there? 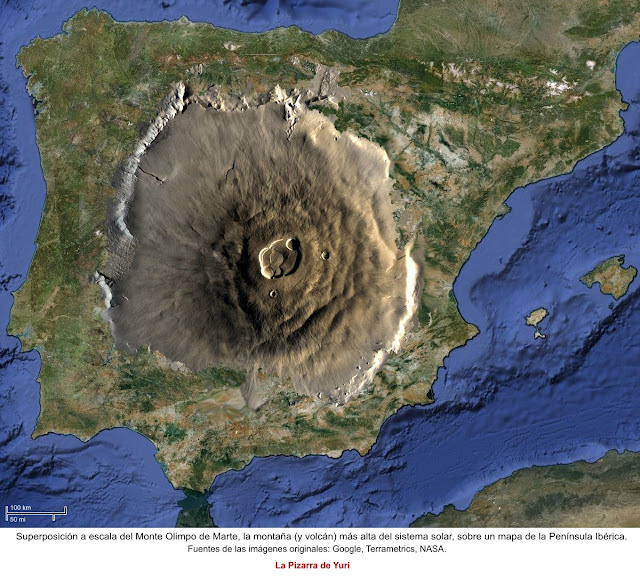 Ever heard of "Valles Marineris" and "Olympus Mons" Lodgy? The point is, lodgy, that his work is, like most of yours, fiction. It does not need to be 100% accurate or 100% plausible. lodgy wrote: Sorry dude, but unlike Earth, Mars is a dead planet (nothing moves except for a few sandstorms). Let me explain geologically it happens nothing. Well done! You've just noted that Mars is different from Earth, and that different processes are in play (maybe we are making some progress with you) ... and yet, you still seem unable to accept that different processes are also likely to be in play on a fictional Earth-like exo-planet. 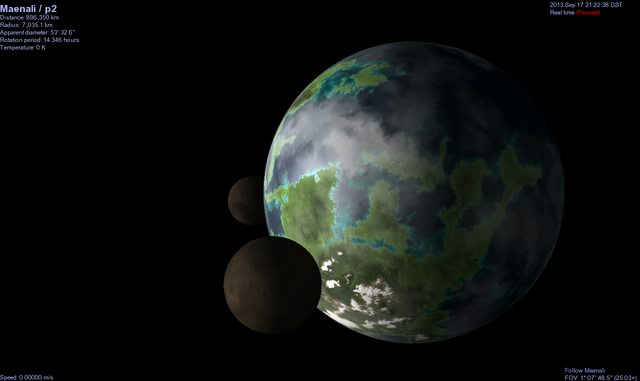 For some reason you have an expectation that John's "Earth-like" planet should be an exact clone of Earth, but why should it be? As the example of Mars (not to mention the moons of Saturn and Jupiter) demonstrates, there are many different processes, and many different outcomes (in our solar system alone). That point seems to have flown straight over your head! Last edited by John Van Vliet on 18.10.2013, 10:55, edited 1 time in total. Purely random, and as a bonus, when I checked the html page for the seed, mass, and luminosity, it was labelled as a genuine Earthlike, rather than simply habitable. Not a bad payoff. Slightly unstable, but nothing a little SSC editing can't fix. 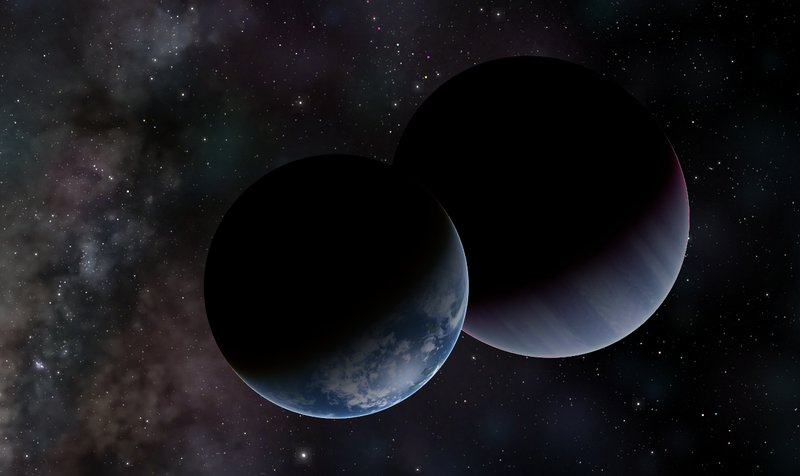 Maenali was the name for the system given by donjon.bin.sh , but since I'm using my own naming system for stars as part of my sci-fi project, I gave it to the planet instead. Your image host seems a bit flakey or out of action. Try : http://imageshack.us/, or attach your images directly to your post. I see em okay... bloody great! Yes, the problem's at this end. I've been in touch with my ISP and they are having some issues with their servers which is affecting connections to SOME websites. (Obviously PlutonianEmpire's image server is one of the currently unreachable sites (for me). Unfortunately this is also affecting some software I am trialing (which does an on-line license authentication, which is also failing), so I hope my ISP sorts out the problem soon! ie. before my trial licence expires!!! But thanks for the suggestion; I actually had been using imageshack since I joined shatters, but I switched to imgur after imageshack went against their promises and became a paysite, turning into yet another one of those stupid "freemiums", and forcing me to delete tons of vital images. 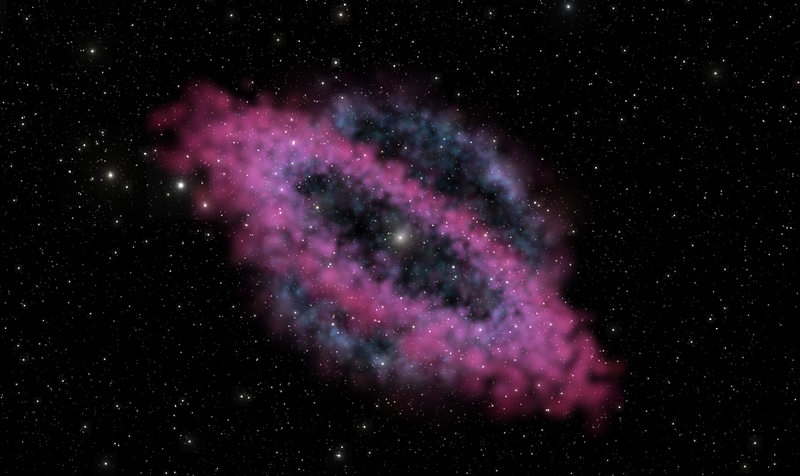 The fuzzy funky colors adorning the Milky Way are from one of Cham's sprites nebulae models; the funky-colored dots are some of Plutonia's numerous minor moons. A man-made, self-sustaining star. I came up with it during my High School years, when I was fiddling around with an old version of the Redshift astronomy software and learned I could make my own stars (whilst building up an intergalactic empire in my personal mods for the Civilization strategy games, hence my username here ). Obviously, I carried it over to Celestia when I first discovered it, and it was my very first Celestia addon. And she's stuck with me ever since. The surrounding nebula is the harmless shock-wave from the nuclear hyper-bomb (which I called a "plutonium fusion bomb" ) that created it. Forum's back, so now it's back to work posting outrageous science fantasy and irritating hard-sci-fi fans! I was exploring some "ancient" systems that I've had with me for nearly all of my nine, ten years with Celestia, and found this little gem; a blue Jovian with two habitable moons. Beautiful images PE... Forums back... Yay! Yes, she's hot, but is she single? Clouds and surface mine. 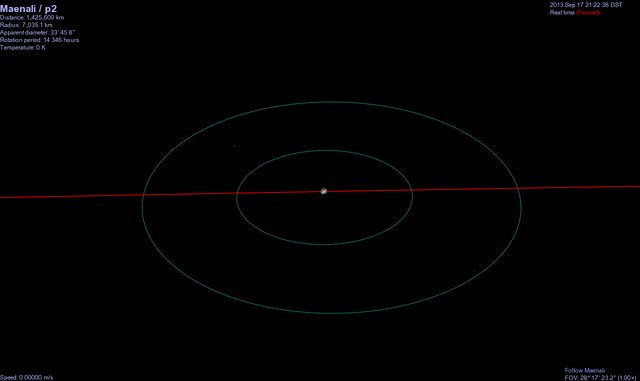 System made with Stargen 2013; the Earthlike it made was replaced completely with one of my one; but with the SMA and Eccentricity carried over. 1 large moon and 4 small ones. And a much larger Earthlike world in a circumbinary around the G and K dwarfs Aa and Ab from above. B is in the distance. The surface textures aren't mine on this one, but I did the clouds myself. Made with Stargen 2013. Sadly moonless.